Bangladesh police on Thursday arrested a top road safety campaigner weeks after the country was rocked by massive student protests demanding greater efforts to halt deaths caused by speeding. Dhaka police said Mozammel Hoque Chiwdhury, secretary general of the Passenger Welfare Association, was detained after being accused of extorting 200,000 taka ($2,500). 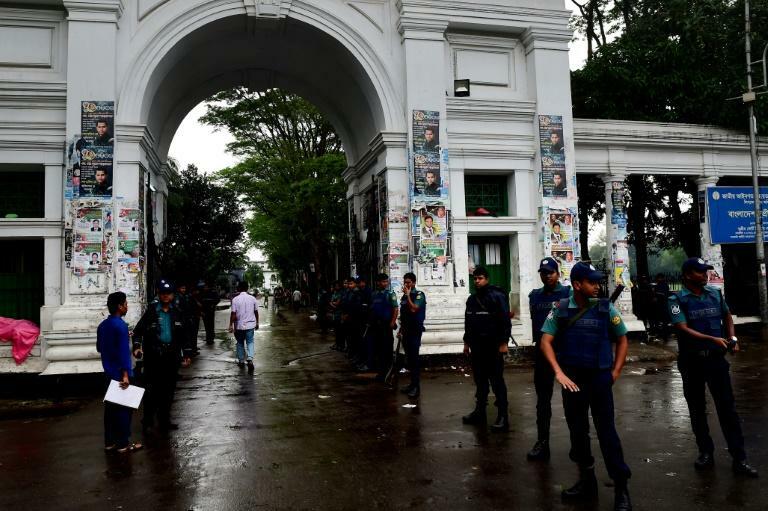 Dadan Fakir, head of police for the Mirpur neighbourhood of Dhaka where the case was filed this week, said the arrest bore no link to the protests, in which tens of thousands of students gridlocked Dhaka for nine days. The protests, a major challenge to the authority of Prime Minister Sheikh Hasina, saw vehicles vandalised and pro-government groups attack demonstrators, photographers and even the US ambassador's car. About 12,000 people die each year in accidents on Bangladesh's notorious roads, according to the monitoring group led by Hoque, a vocal campaigner for many years. Last week, his group said 259 people were killed and 960 people were injured in more than 200 road accidents during the Eid al Adha holidays in late August. After the protests, the government approved a new transport law allowing harsher punishments for offenders. Dhaka police say they are already cracking down on dangerous motorists and taking unsafe vehicles off the road. Police have, however, also detained scores of young protesters, a top photographer and an actress over charges of inciting the demonstrations, sparking fears among activists. Shamsuddin Chowdhury, an executive member of the Passenger Welfare Association, told The Daily Star newspaper that the charges against Hoque were "false". "This arrest was made to gag his voice. Police are just making charges up," he said.